A great price on this fun toy today only! 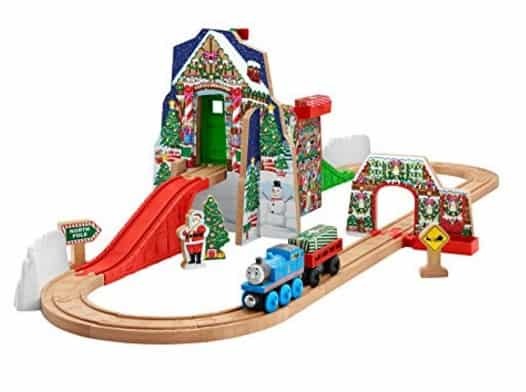 The Fisher-Price Thomas the Train Wooden Railway Santa's Workshop Express [Amazon Exclusive] is on sale for $39.99 at Amazon right now. That's 56% off the list price of $90.36! Thomas is helping Santa deliver presents from the north pole to the village below! A great gift for Thomas fans! Plus you can save up to 50% or more off select toys from Mattel, Fisher-Price & Mega Bloks today with the Amazon Deal of the Day.